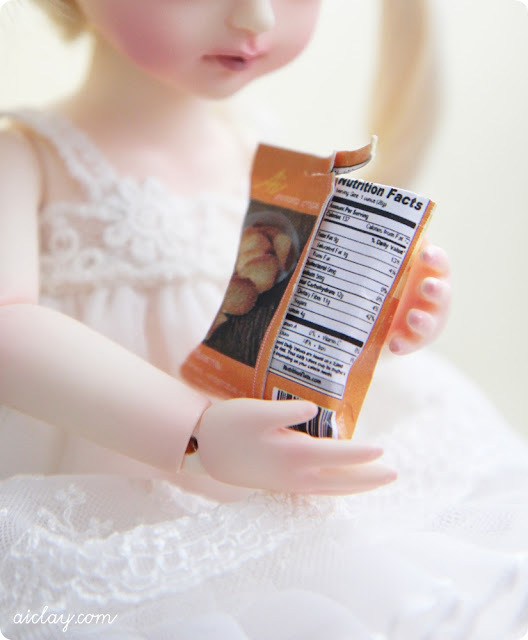 AiClay - a Haven of Miniature Food: Oh darn those fattening, unstoppable potato chips. Oh darn those fattening, unstoppable potato chips. When they say you can't stop at one, turns out you really can't. One of the few advertising slogans that ring true. 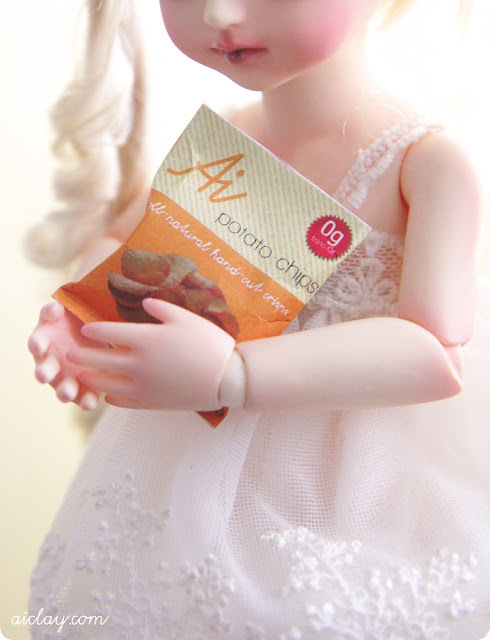 How about some miniature potato chips, it's calorie-free! 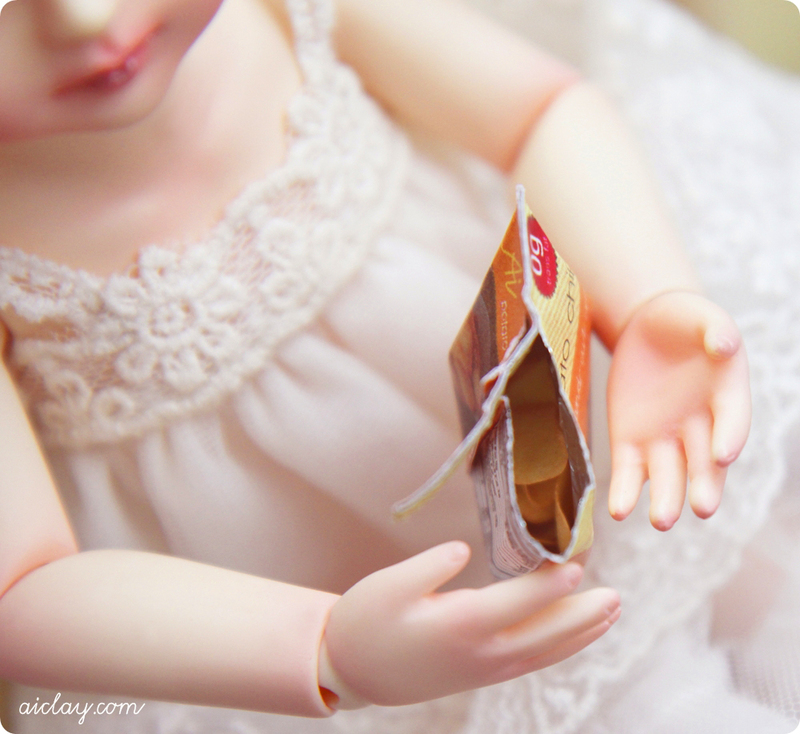 Sculpted in 1/6th scale, Gemma's (Customhouse Ange Ai Gaby) the one holding all the chips. She doesn't really care about the nutritional information at the back though. But note the big red sticker which says that Ai potato chips have 0g trans-fat, hooray! what's left after a good chomping session in front of the television. You can get a bag in the store now - miniature bag of potato chips! Comes with 15 chips in a bag! So what do you love as a snack in front of the television or at the movies? Oh my word, just when I thought your work couldn't get any more amazing you go and create this!!!! haha!! i do the same as you when i have the super rings or cheezel, childhood memory! I just have to add that you have a way of telling a good story to go along with your visual presentations! You ROCK!!! Guess what guys, I ALMOST ate super rings that night after I posted the entry! hahaha, I shouldn't make eating the real-life version after I make the mini a habit! (first was the fillet o fish burger :)) In the end I settled on another brand of chips, but still potato chips! Pattie, Amanda, Jennifer, mintwonderland: mmm hot cheetos, white cheddar popcorn (what's that!! we only have sweet or salted options here :(), cheezels. Let's forget the diets and pop open those chips! -licks Super Ring powder-coated finger. Amber Dawn: awwww thanks so much!! you have no idea how much that's appreciated! Wow, these are adorable! 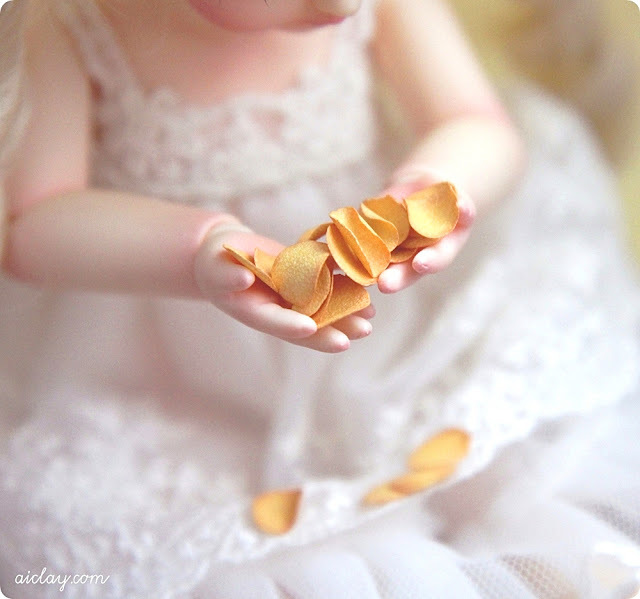 I envy your skills with clay, aamazing.